Giuseppi Mario Bellanca, "Pepino", was born in the Sicilian village of Sciacia on March 19, 1886. He received his secondary education at the Technical Institute of Milano where he earned an education certificate to teach mathematics. In 1910 he earned a degree in mathematics and engineering from the Milano Politecnico. At the age of 24 his first plane, built with two partners, was destroyed on its first flight. A second plane never flew because the partners could not afford an engine. In 1911 he moved to the United States with his family, settling in Brooklyn. Bellanca taught himself to fly on his third design and started the Bellanca Aeroplane Company and Flying School in 1912. 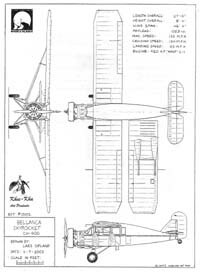 Successful design followed successful design, through the Wright-Bellanca WB-2's famous New York - Germany flight in 1927, to the CH series in the midst of which is our subject airplane. The Pathfinder, Pacemaker, Skyrocket and Senior Skyrocket were all strong, light, simple, docile workhorses, which suited them perfectly for "Bush" operations. The CH-400 Skyrocket was a higher powered development of the Wright-Bellanca series and the later CH-300 Pacemaker. 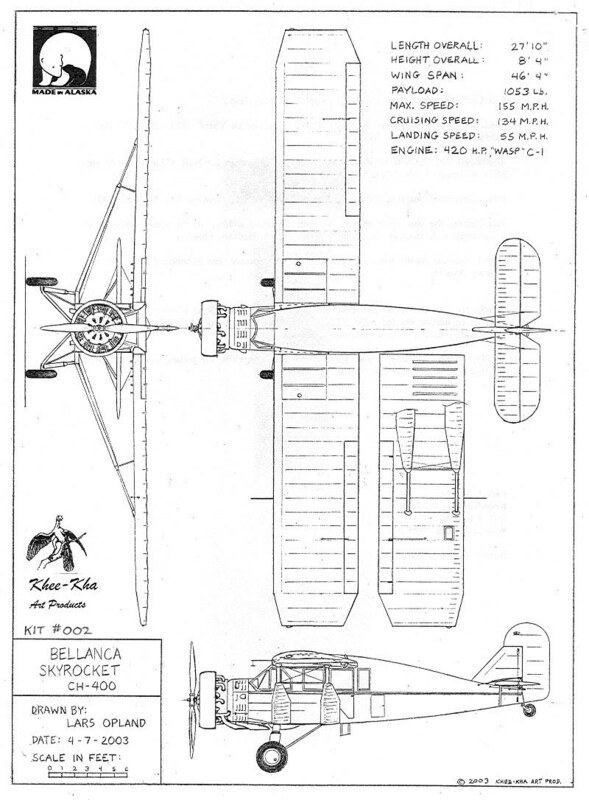 The Skyrocket was intended to be a more sporting airplane for wealthy customers demanding speed and comfort. Its qualities also attracted the attention of commercial operators and Skyrockets were soon doing the heavy lifting in the Canadian and Alaskan bush. 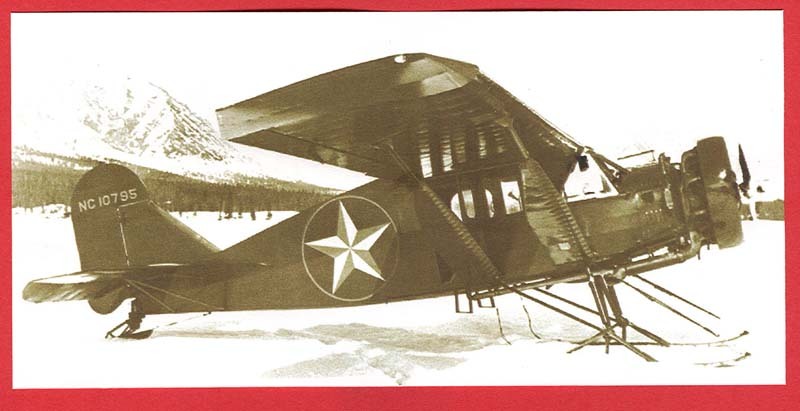 Early owners included movie stars, the US Navy and Marines, Colorado-Utah Airways, Alaska Star, Wien, Alaska Air Transport and the Treadwell-Yukon Mining Company amongst others. This is Khee-Kha's second kit. The first, a Fairchild F.71 was reviewed in the April 2004 issue of this magazine. Khee-Kha's growing line of civil types is a welcome break from all the killing machines offered to our hobby by the mainstream manufacturers. Lars Opland, owner and entire staff of Khee-Kha, lives in Alaska and is keenly interested in the aviation history of his state and of western Canada. 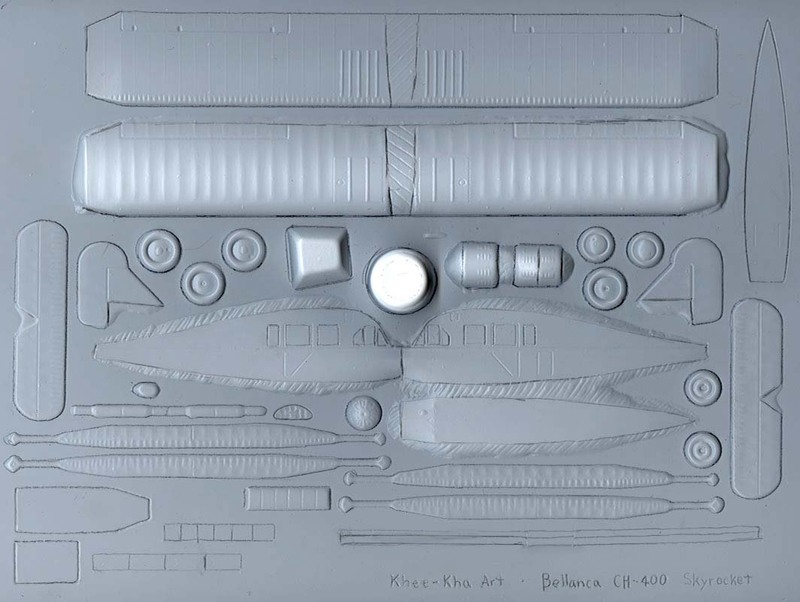 The kit comes in a resealable plastic bag containing one 8" x 10" sheet of white polystyrene, which has been vacuum formed into a female mold to produce 46 finely detailed parts. A beautifully cast resin engine, propeller, eight intake manifold elbows and two exhaust manifolds are carefully taped into the recesses on the backside of the vac formed sheet to protect them. A vac formed windscreen is also protected in its own recess. A 3/4" x 3" sheet of clear styrene for the side windows completes the kit. 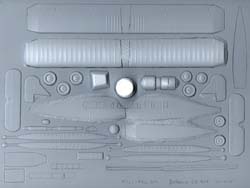 Ten pages of well written, and even better illustrated, instructions tell you how to convert the beautifully detailed bumps vac formed in that white plastic sheet into an accurate scale model of an airplane of great historic significance. The instructions also set out five different color schemes for you. No decals are provided. It is quite simple, however, to either find regular lettering fonts in model airplane and railroad decals or press-down lettering or to cut your own from plain colored decal stock. Another source is the vinyl stick-on lettering found in office supply shops, which can be used as masks for painting. Whiskey Jack decals of Canada are about to issue a sheet of 1/72 decals for Canadian Fairchild F.71s built from Khee-Kha's first kit and I'm sure they will soon follow with decals for Canadian registered CH-400 Skyrockets for this kit. This is a fine kit of an important civil subject. It is not an easy build but the end product is worth your effort. The qulity of the kit is head and shoulders above other vacuum formed kits. A big thank you and many kudos to Lars for producing a kit of this great airplane for us. The kit is available directly from the manufacturer for $20 plus $5 postage, which is good for up to three kits.